Inveresk, dating from 1877, reflects well the characteristics of Victorian Italianate design. The tower, asymmetrically arranged loggia and bracketed eaves are key features of the style. The substantial and stylish former residence reflects the wealth of the period generated by the gold rush and consolidation of the colony. 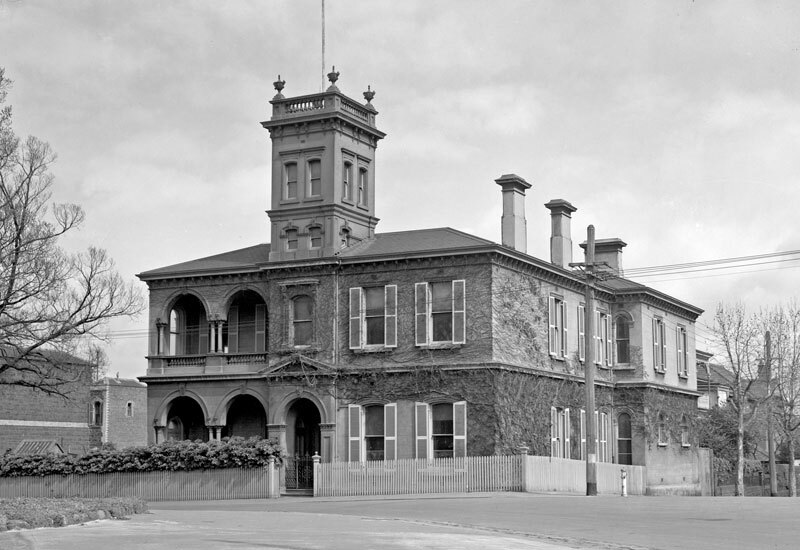 Inveresk, with its restrained facades and the architectural enrichment concentrated on the four tiers of the tower, is an important example of the work of architect James Gall. Inveresk is a large, two storey Victorian Italianate brick townhouse of fourteen rooms with a fine central tower and asymmetrically arranged loggia. 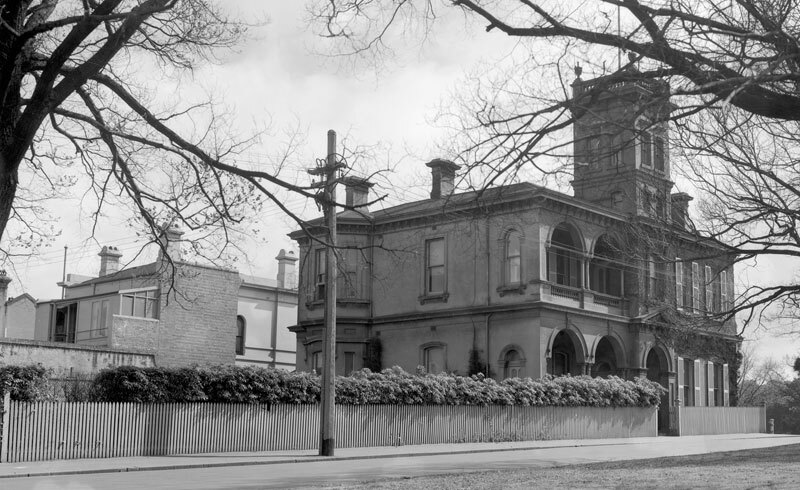 This is perhaps the only large mansion in the area existing basically as built. The arched colonnade to the verandahs and arched entrance below the tower contrast with the square headed windows to make an architectural design of interest and significance. Ornamentation includes arcanthus leaves, cornices, brackets to eaves, and label moulds. The bracketted eaves, tower and assymetry are all key features of the Italianate style. Internally the entrance hall has distinction owing to the intricate capital detail to the arch, the wide staircase, high ceiling and the delicate ceiling rose. Outbuildings consist of a large brick store, with a cedar ceiling, and a double brick garage of 1920s vintage. 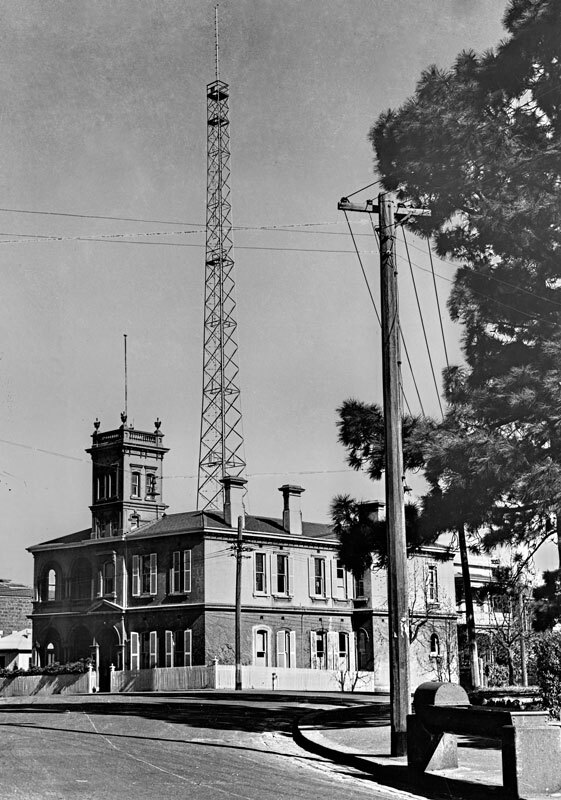 Inveresk was also a former PMG telecommunications building before being converted into apartments. 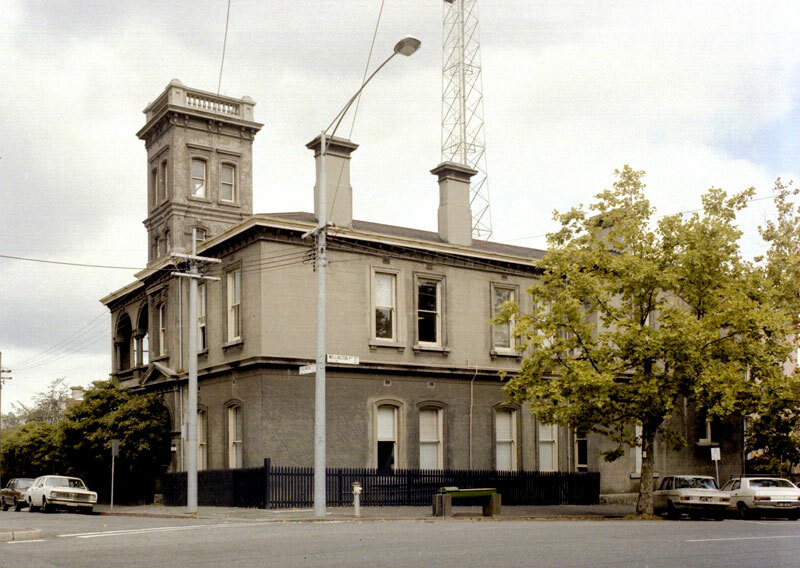 Photographs provided by Victorian Telecommunications Museum Inc. 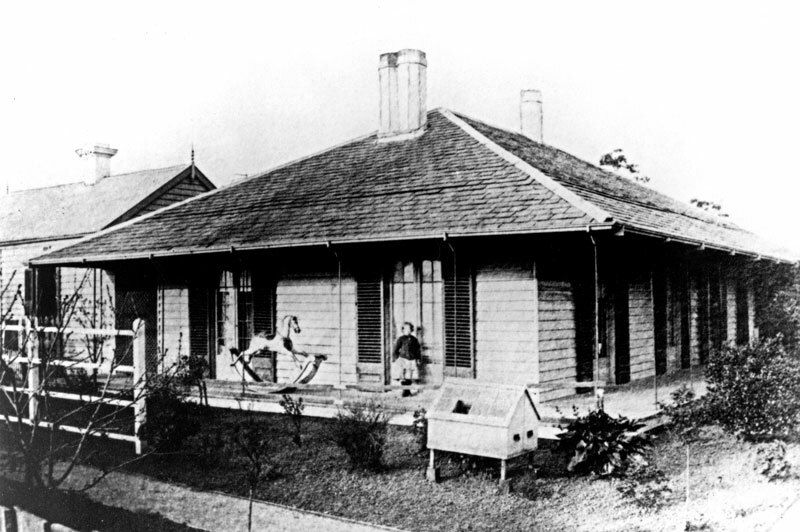 The old wooden Jolimont Cottage, demolished in 1872 to make way for Inveresk. 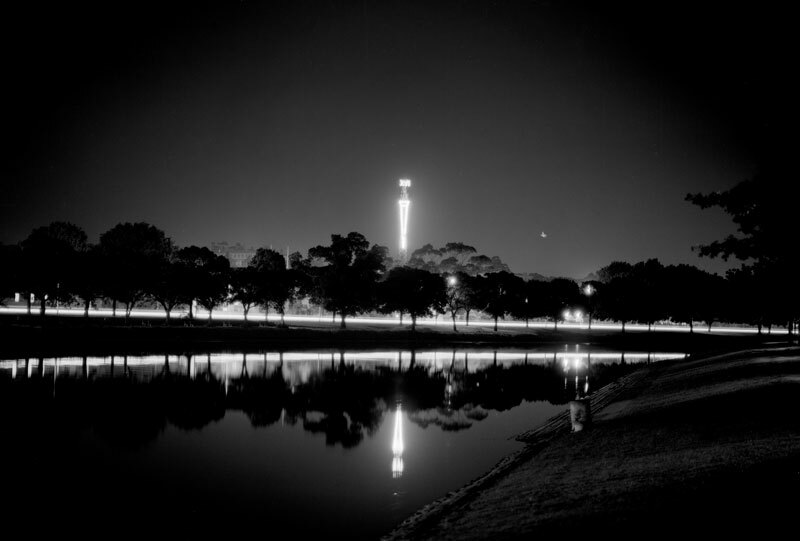 With PMG telecommunications tower built in 1946. 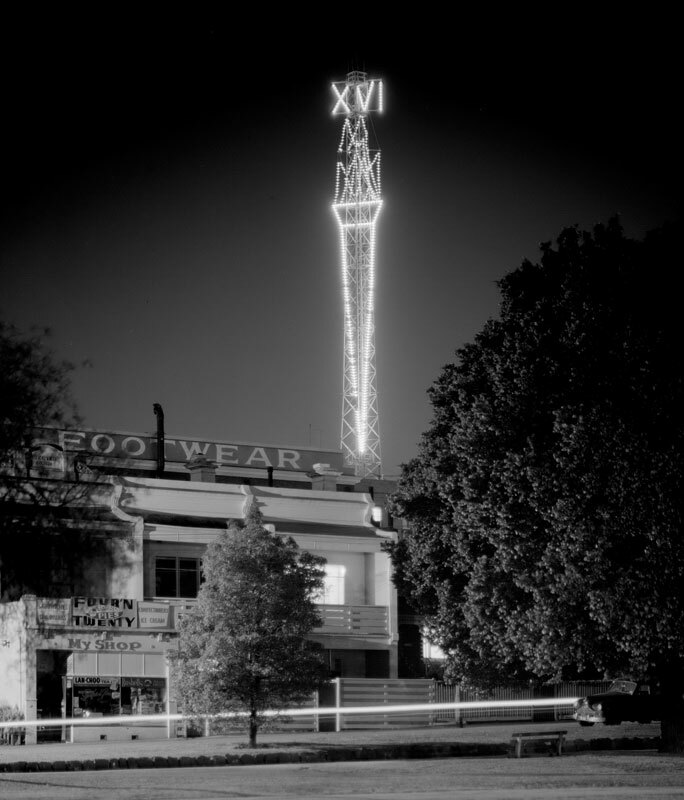 Telecommunications tower decorated for the 1956 Olympics. 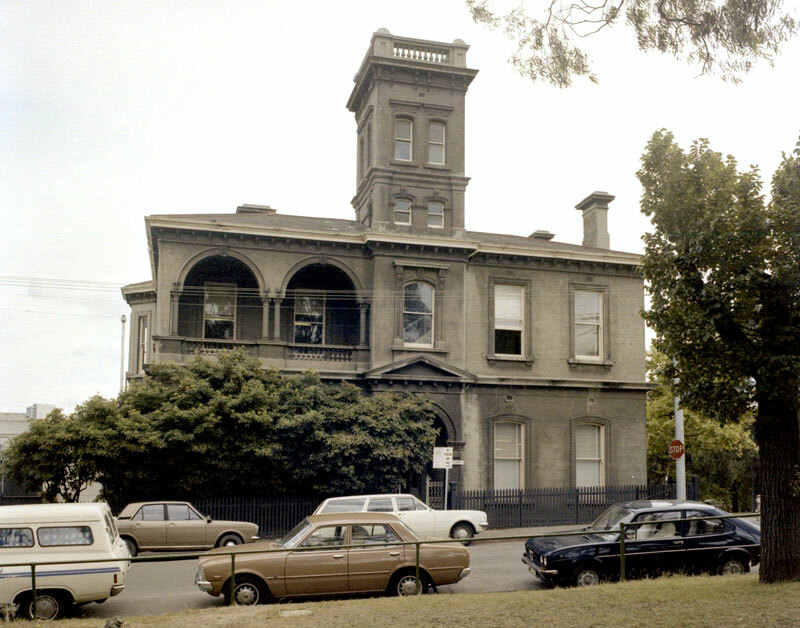 Colour Photographs taken in 1981.